A random hookup too hot to handle? Never say never. In a torturous game of cat-n-mouse with her step-uncle, it’s Margo’s move. On the run, she does a body slide right into the arms of a recently discharged Marine. Outside of this crazy fling, there’s zero room in her life for men. Distractions are dangerous to her goal. From fixing miles of fencing and tending cattle, Rod McLemore is thrust back into the line of duty. And he promptly fails. He crosses the line in a no-brainer mission: go and get the girl. On no hands is he prepared for Margo or her smart-mouth, right hook, and cargo to hide. Together Margo and Rod are as volatile as flint and gunpowder. Bordering on taboo, their raw attraction is a recipe for disaster. Especially when the stakes are raised. Their stormy love affair forces them over the edge and out of their comfort zones as they wrangle in-laws, Mother Nature, and a slick conman. A regular trial by fire. But a battle worth fighting means taking a stand. Even if it means they have to lie, steal, cheat. 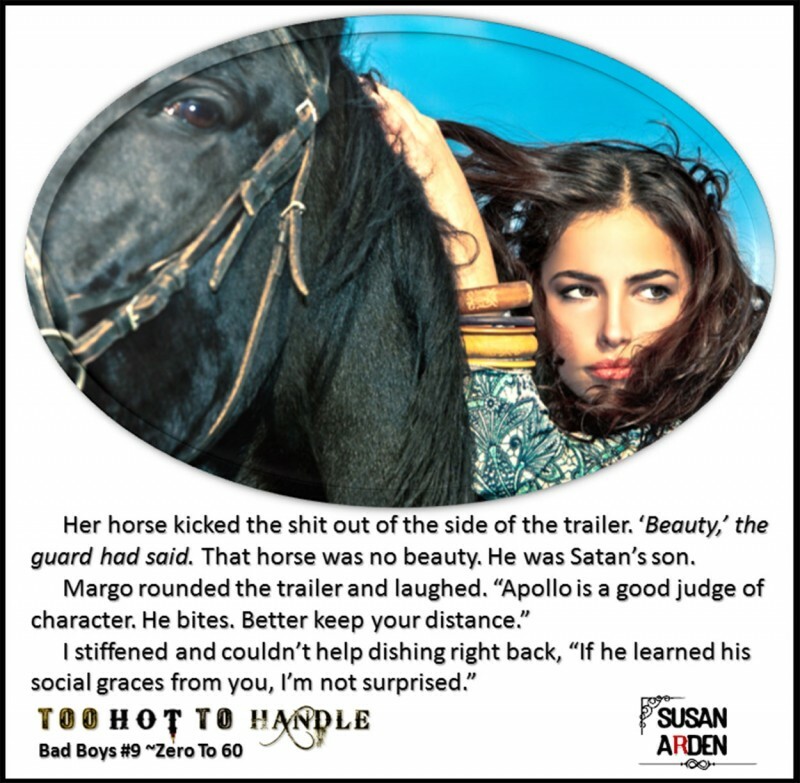 Susan Arden grew up in Miami, attending bilingual schools, which lends itself to her interest in writing multicultural stories. Previously, she taught in public schools and earned National Board Certification as an educator. She’s married and lives outside Nashville. Besides writing in partnership with her husband, they’re involved in environmental engineering, have three daughters, and an eccentric Kelpie, three cats and gecko. When she’s not writing, Susan reads dark romance and thrillers, adores comedy clubs, and is a closet fanatic about boots. 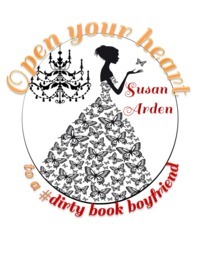 Susan Arden, Bestselling Author of Steamy Romance.